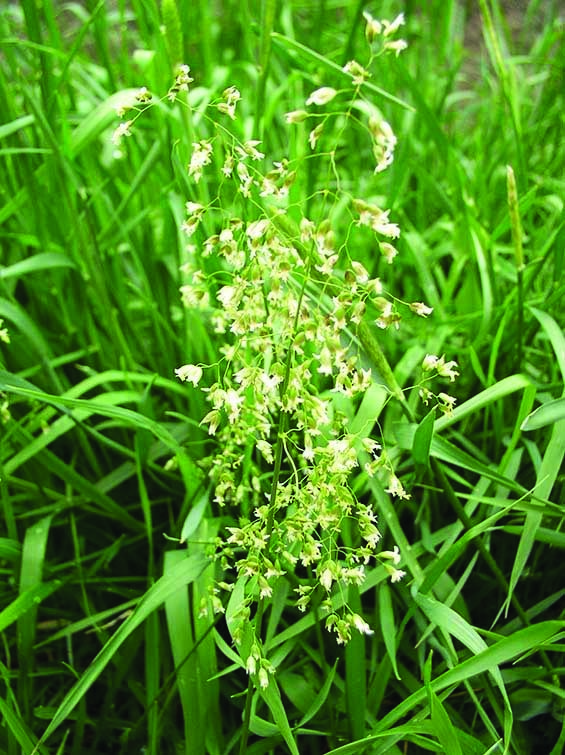 Sweet grass (Hierochloe odorata) is a Native American grass used in prayer and purifying ceremonies. 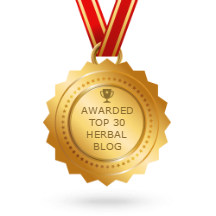 It is one of the four herbs sacred to Native Americans. 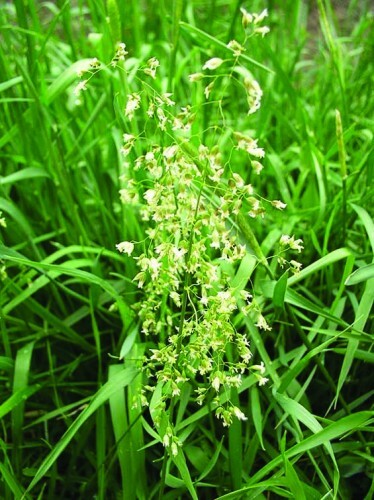 Growing Sweet Grass is not difficult once you have a plant, but obtaining that first plant can be difficult. The seed does not store well, or maybe not at all. Purchased seeds come many times with a guarantee of only ten percent germination. From my experience purchasing Sweet grass seed, zero germination is more accurate. If you have a Sweet Grass plant that is thriving, there are two ways to increase your number of plants. The easiest way is to sow fresh seeds harvested from your plant. I keep an open flat of potting soil next to potted sweet grass. As seeds mature and turn brown, I gently cut the stalk and then strip it of seeds over the soil. Spread the seeds evenly over the surface and gently water. Sometimes the stem holding the seed is still green, but make sure the seeds are completely brown before harvesting. 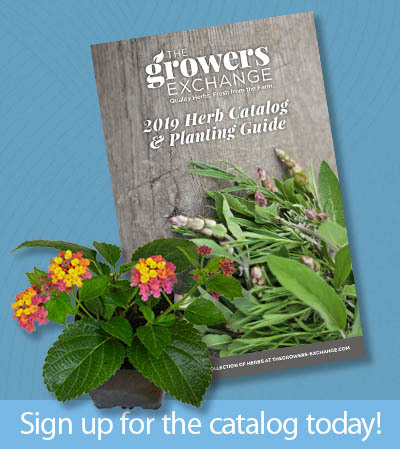 Germination will begin in one to two weeks; allow the seedlings to grow a few inches before transplanting to pots. The seeds ripen over time, so you may have to leave the flat with the plants and harvest ripe seeds as they mature. Division is the next best way to obtain more sweet grass plants. This is best done in fall or winter to plants that are dormant. Sweet grass spreads in clumps with rhizomes. These shoots can be separated from the mother plant once they have formed new roots. To protect the mother plant, remove side shoots and leave the main clump together. This method can only produce a few new plants at a time and requires some plant skills The fresh seeds of Sweet Grass germinate readily and the plants produce plenty of seed, so this is the easiest method to increase Sweet Grass. I understand the article, but am at a loss as to how to get a plant to begin with, since seeds don’t sound likely to succeed.